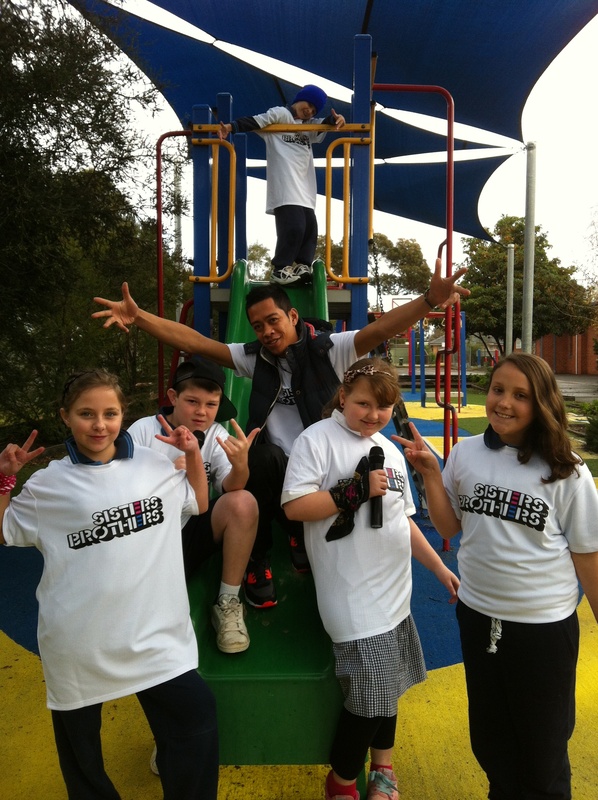 Our Sisters and Brothers out at Melton South Primary School along with Gabriel Collie in their spunky new tees! This morning we had a photo shoot with the Melton Leader and the students did an excellent job representing themselves and the school as they prepare to spread the word about their contribution in stopping racism. Look out for them in the Melton Leader! Family and friends are invited to see the students perform the song Brighter Future which they collaborated with the Sisters and Brothers team to write, this coming Monday 17th June at the school. We are very proud of the student’s participation in the project and their initiative in being leaders in their community to show that diversity is cool and racism is for fools!